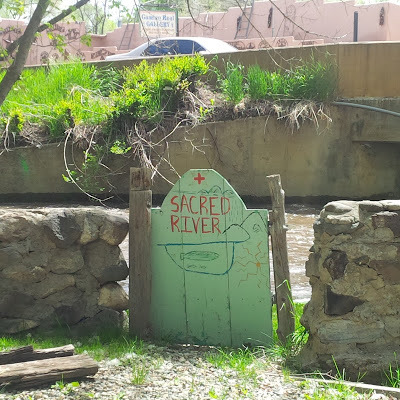 A moment in time from the trip to Taos. I was returning from a little trek outside of town and a sign caught my attention. I turned around and went back to check out the gallery, which was closed, but the owner let me in, anyway. Put off her trip to the post office for a few minutes to show me around and we talked. She is a writer, too. She has this gallery which is open about three days a week, sometimes four. And she lives there; rents part of it out. It's a very old home and Georgia O'Keefe stayed there back in the day. I saw the room. 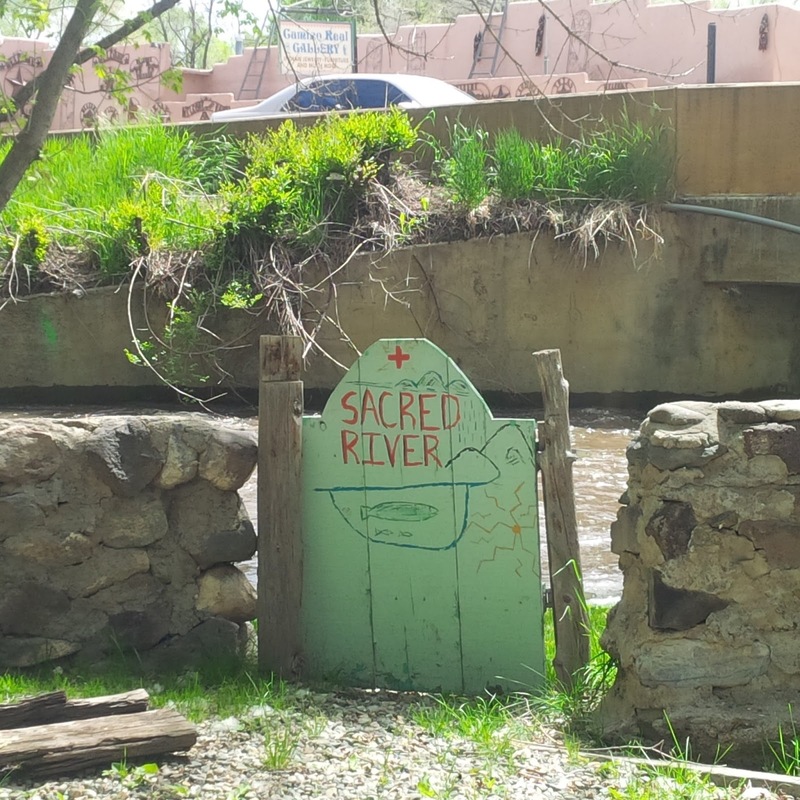 When I was leaving, turning around in the small parking area, I saw this gate between the parking area and the river which runs through part of town. Now I'm sharing the picture.